Dive in to this course to find out how to assist others when things don’t go as planned in vertical environments. 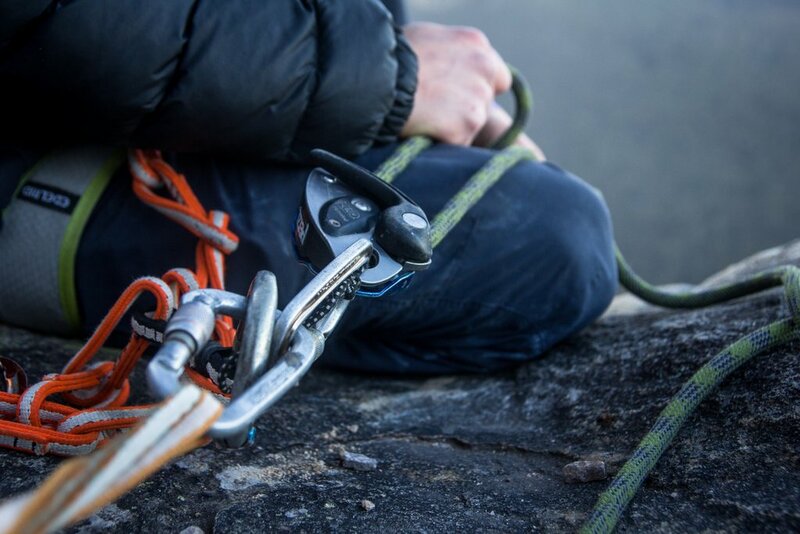 Recognise, prevent, respond to and solve the most common abseiling and climbing problems that require rescue of others. All required equipment provided including ropes, helmet, harness, climbing shoes, belay devices and carabiners. Along with prussiks, slings and a variety of other software and hardware. This course is a great stepping stone to a Trad or Multipitch Climbing course. Day 1 begins with an introduction to safeguarding other climbers and abseilers with a "top rope top belay" system. This progresses quickly to techniques for moving these climbers and abseilers vertically using simple hauling systems. Today we look at more complex applications of the skills introduced on day 1, how to assess the system that protects us and more. Before the course starts we’ll send you some pre-course notes. Read your notes carefully for this course to make sure you're up to speed. The pre-reading is essential to ensure that you get the most out of your time on the cliff. 2. While this course has no other specific requirements, we take the time to talk to all of the participants prior to the course to ensure that they are at an appropriate skill level before joining. We'll ask you about your experience, interests, abilities and aspirations to make sure that the course is right for you.